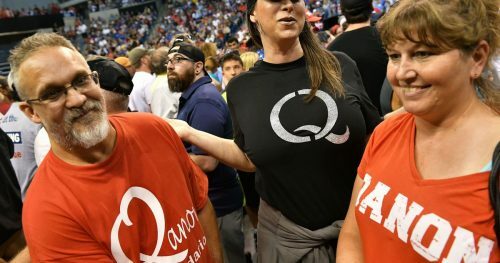 The far-right QAnon conspiracy theory has hit the mainstream, but one particular demographic seems more susceptible to its wild claims than others. A new way to easily point out the fuckwits in a crowd. It’s a Trump rally. In 2018. They’re ALL fuckwits. You are absolutely right. I stand corrected.